If you don’t live in the Bay Area, you’re probably getting tired of hearing about all the activity going on in the SF Ruby on Rails market: new Rails shops launching, new jobs, the most active Ruby meetup, and some of the most well-known Ruby conferences. While there are certainly Ruby on Rails jobs to be found across the country, in no other place will you have the quantity, quality and diversity of Rails opportunities that can be found here in the Bay Area. Over the last few years, we’ve helped a number of Ruby on Rails developers relocate here from cities and towns all across the country (Las Vegas, Boston, Birmingham, and Chicago to name a few). Today, more than ever before, we have multiple clients (about a dozen plus) open to relocating developers to help them build out strong Rails teams. How does this work? Of course the process begins with phone interviews, or maybe a Skype call. 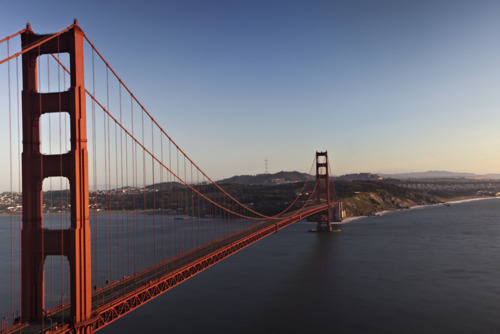 If you’ve proven yourself in initial interviews and the company really likes you, they will oftentimes fly you out (on their dime) to San Francisco to meet the team. If the company then decides to make you an offer, it will likely include a decent relocation package (almost like a signing bonus) to help you with moving costs related to relocating. Regarding salary, according to our data from the last 4+ years, the Bay Area offers, on average, the highest compensation for any Rails market in the US. While you might be able to live happily on a fairly lower salary in other parts of the country, the Bay Area is a more expensive place to live. The good news is that salaries here are in-line with the higher cost of living. You won’t be taking a pay-cut. It’s also important to keep in mind your current life situation. Even if you want to relocate, there are factors that can hinder or delay the relocation process. Some of these include needing to sell your house, finding a new job for your significant other, and moving your kids to a new school system. Another caveat is that companies that are willing to relocate developers generally aren’t looking for junior to mid-level type talent. They’re looking for senior developers who will likely lead their Rails team or play a pivotal role in its growth. So, if you’re a senior Rails developer hanging out in Sioux Falls, SD, Burlington, VT, or anywhere in the US, there’s hope for you yet! There’s never been a better time to move to San Francisco. If you’re considering relocating to San Francisco and want to chat more about details, just give us a call (415.230.0617) or shoot us an email.